Enjoy the luxury of the hottest trend in home decor: Velvet! 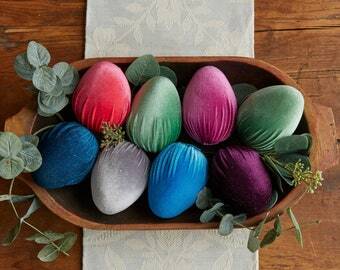 Velvet eggs in pretty pastel colors make lovely Spring decorations and centerpieces. Use these as a newborn photo prop or vase filler to set your style apart. 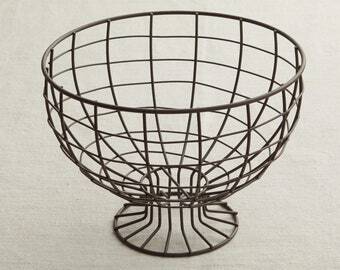 Create lovely spring decor with these best selling items. 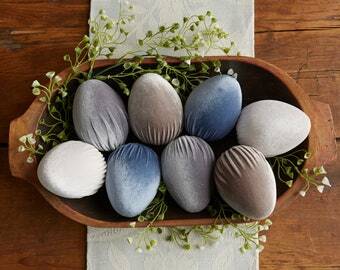 This set of 8 velvet eggs was designed by me, and will add rich sophistication to your home. They are 4" tall and come in popular soft pastel colors: soft rose, light lavender, pastel pink, peach, taupe, ivory, and 2 gray. Each is carefully hand stitched with a hand dyed matching applique. 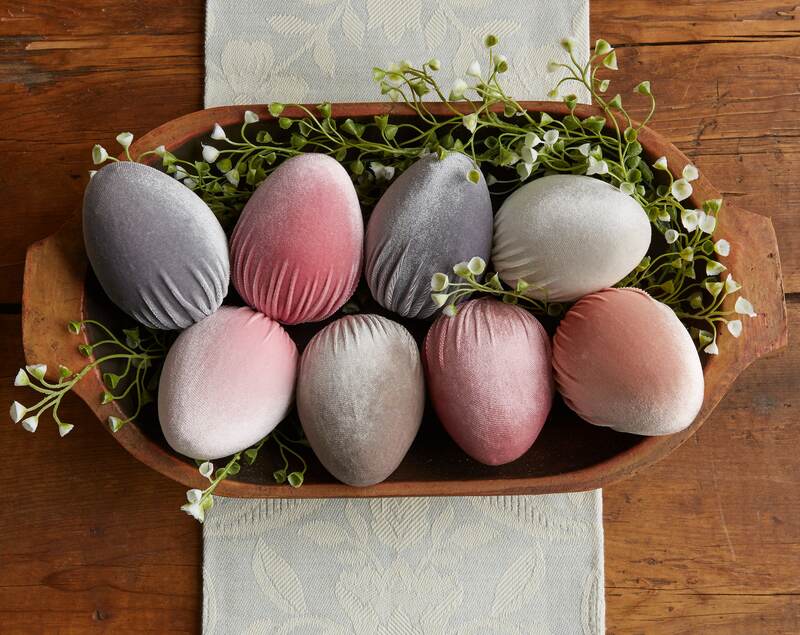 Enjoy these velvet eggs in a Spring Basket, an Easter basket, or a gift for her. They add a beautiful touch to your farmhouse decor, spring decor, shabby chic, vintage look, and of course, traditional decor. We have a reputation for fast shipping, so you will receive your purchase in a timely manner. Each set of 8 eggs will arrive in a transparent bag, and you will immediately be able to display them, and enjoy the beautiful array of colors. I focus on designing, and creating pieces that are a good value, beautiful, upscale, and uniquely well made. I hope you enjoy these velvet eggs as much as we enjoyed creating them for you! Great seller. Quick response to questions and most importantly very fast shipping. Beautifully made & a lovely filling for centerpiece!Can’t wait to give these as a gift this weekend, if I don’t keep them for myself. Perfect. Total experience is 5 star. I have done my best to describe and photograph items as they are in real life, however, I can not be held responsible for monitor resolutions and as such, all work is sold as-is. I am very happy to try to discuss any trouble that you have with your order but I am assured that you will be extremely happy! I want to make you happy and please read my shop reviews! Unless otherwise noted in my listings, shipping is via first class mail or priority mail; expedited shipping, insurance, and delivery confirmation are all available for additional fees. I use recycled packing material as much as possible because I love our Earth...It may not always look pretty but it feels good. Q: What sizes are the Velvet Pumpkins? A: The Velvet Pumpkins come in two sizes. The regular pumpkin is 5" wide by 3" tall plus 3.25" for the stem. The large pumpkin is 6.25" wide by 3.25" tall plus 4.375" for the stem. We do not make custom sizes. Check out the Item Details in each listing for more product information. Q: Can you make colors not in the line? A: Because of the popularity and high volume of our products, we cannot make custom colors or products not in the line. We strive to offer a wide range of colors to fit many styles and decors, so hopefully you'll find something you love. Q: How do you offer so many colors? A: All of my items are made in small batches. We keep the most popular colors in the line and offer them season after season. Each year we follow color trends and add new ones I think my customers would like. My fabric suppliers may adjust color dye lots over time, so there is a chance of some color variation. However, I strive to keep the colors consistent. Q: Can I order multiples for an event or large quantities for wholesale? A: Absolutely! We love making large orders. Please see the "Wholesale/Bulk Customers" Section of the shop for the quantities required for large orders. Details are provided on how to mix and match the sizes to qualify for large orders. A: Unfortunately, not at this time. Because of some past experiences where we and our customers were not happy with the international delivery options and pricing, we do not offer shipping outside of the U.S.?